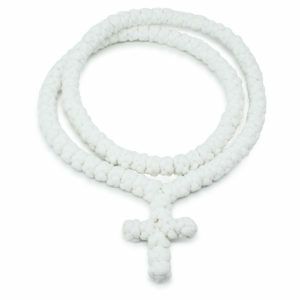 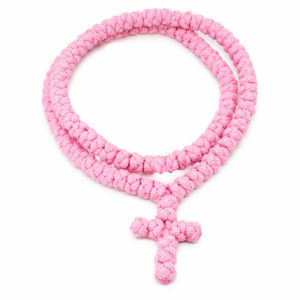 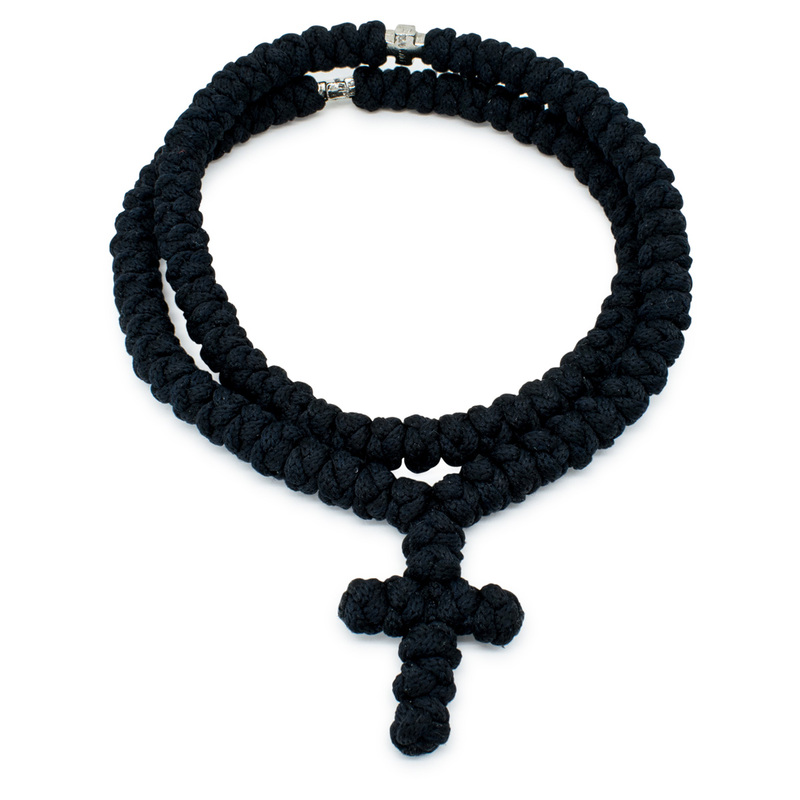 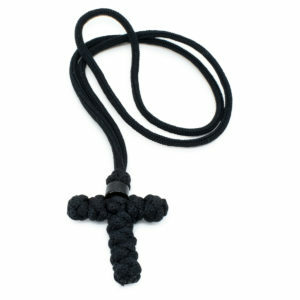 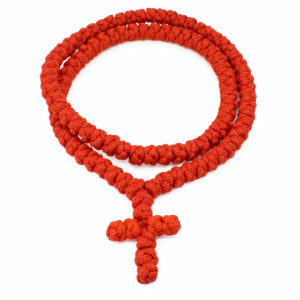 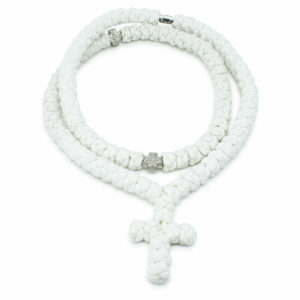 This is the traditional 100 knot black prayer necklace, meticulously handmade out of 100 knots where even the cross is made out of knots. 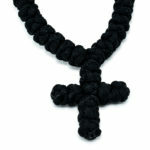 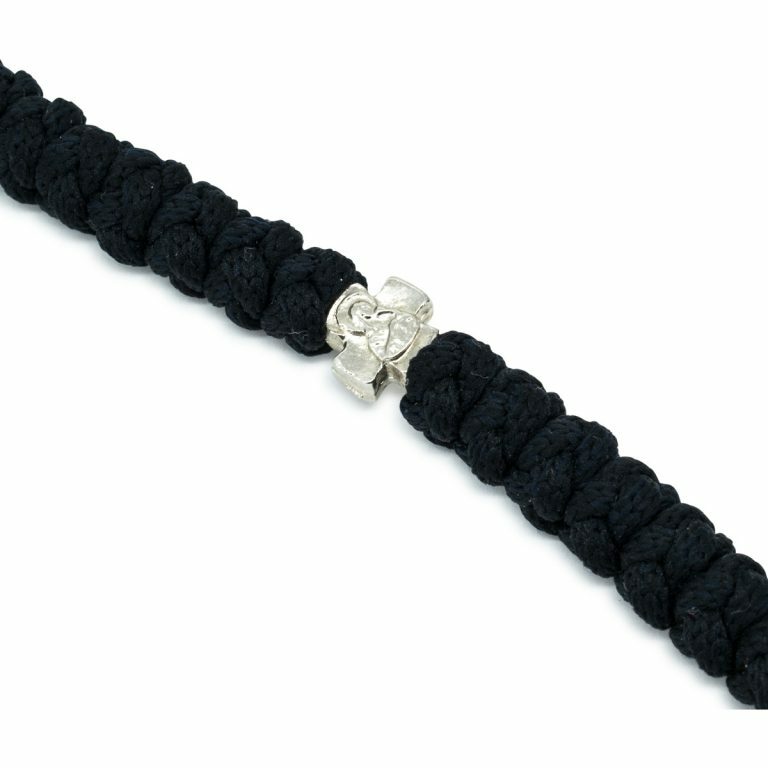 It contains 2 metal divider cross beads. 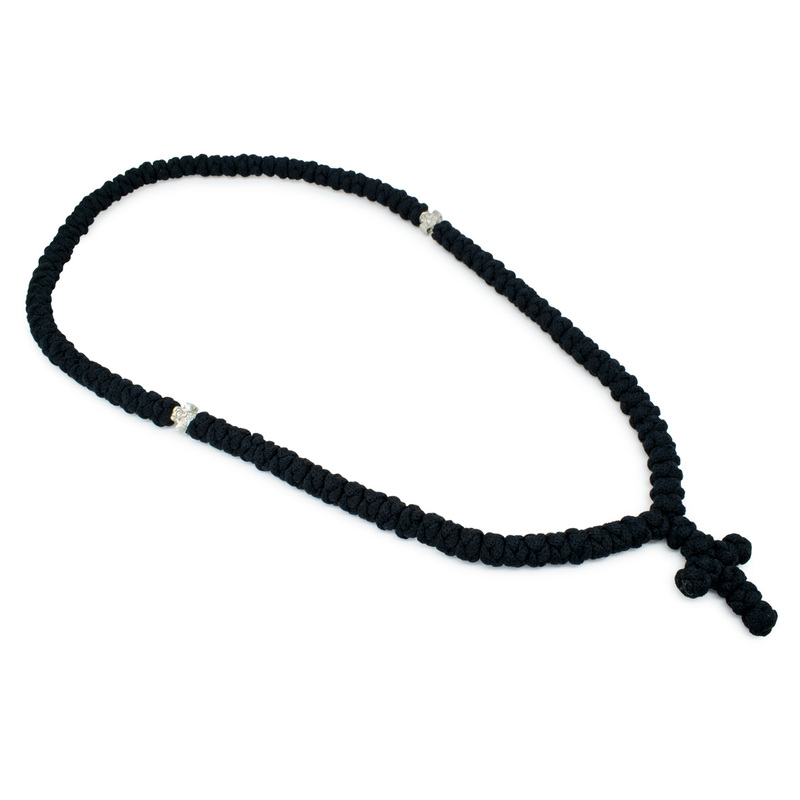 This necklace is blessed by the Orthodox Christian Church.